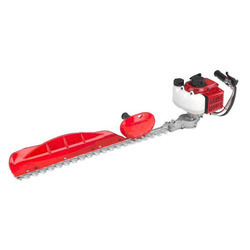 We offer high quality Hedge Trimmer at very reasonable price. We present you the finest range of petrol driven hedge cutters that are exclusively known for fast and easy trimming of hedge in the gardens and parks. We are the leading importer & supplier. 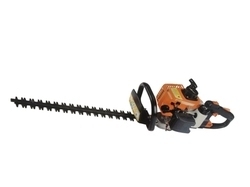 HC 260 Hedge Trimmer, 25.4cc, Blade-Double length 600mm, pitch 35mm, Wt-5.3kg, Safety Gear. Silent and easy to handle with modern rounded design, they offer excellent ability in those more difficult - to - reach areas of hedges and shrubs. Double-edged blade ensures cutting accuracy.